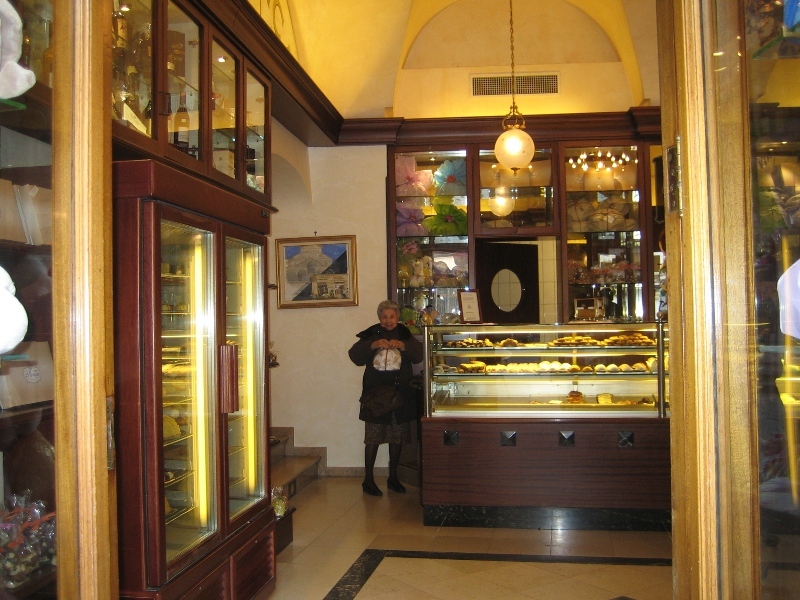 When Lina, my mother, enters the beautiful pastry shop in Amalfi she stands very still for a while, enjoying the subtle elegance and the warm beauty of the Pasticceria’s interiors. After a while she approaches the colorful selection of Sfogliate, Delizie al limone, Capresi, Babà and other sweet delicacies. Sometimes the pastry shop owners, Andrea or Nicola, dressed in elegant black and white old fashioned suits, help her to make her choice. Next time you arrive in Amalfi and stand before the cathedral´s imposing staircase, I suggest you to change direction and go first to the pastry shop. Whether you opt for a Delizia with lemon custard or for a tiny almond lemon cake, you will definitely enjoy the unforgettable taste of traditional pastry art. You have the choice of sitting in the beautiful interiors with its distinguished elegance of former times or in front of the pastry main entrance to enjoy the lively activity of everyday’s life on the small Piazza.